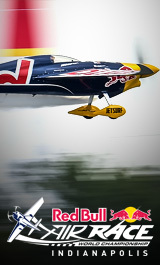 The season finale of the Red Bull Air Race World Championship will be celebrated at Texas Motor Speedway for the first time Nov. 17-18. For the three pilots still fighting for the title – including a home U.S. hero at the head of the leaderboard – this one will be all or nothing. An impressive NASCAR and IndyCar track with tricky, turbulent winds, Texas Motor Speedway already has been home to Red Bull Air Race stops in 2014 and 2015. But hosting the season finale, which is also the 90th race in the history of the sport, boosts the excitement. It has been 11 years since an American (Mike Mangold) hoisted the World Championship trophy, and Goulian never has held the overall lead going into the final stop of the season. Goulian, from Plymouth, Massachusetts, flies into the pressure-cooker environment with the momentum of an October triumph at the Indianapolis Motor Speedway but holds only a five-point advantage over his rival Šonka. Šonka and Hall both know the bittersweet taste of finishing a season as the runner-up. Just last year, Šonka was the overall leader but lost the crown to Japan’s Yoshihide Muroya in the last flight of the final race at IMS. Hall, who is two points behind Šonka, finished second overall in both 2016 and 2015 (when he also took a podium at the Fort Worth race). Last month at IMS, Šonka and Hall struggled, leading insiders to wonder whether the pressure is just a bit too much – or if they will bounce back at Texas Motor Speedway. The season finale from Texas will be televised from midnight-2 a.m. (ET) Monday, Nov. 19 on NBCSN.